Our 10.5 Mil glossy cardstock paper is glossy on one side and matte on the other. Both sides of the paper are printable. Made for Inkjet printers only, this inkjet gloss cardstock measures 8 1/2" x 11". 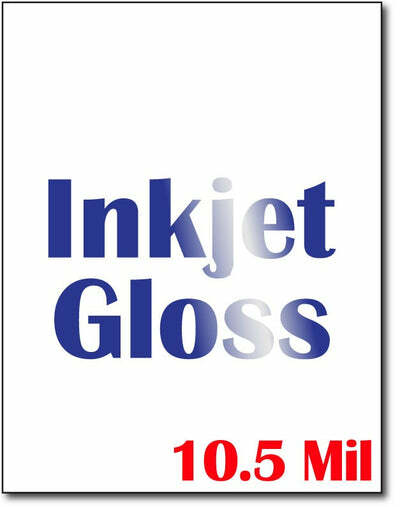 The Inkjet gloss cardstock is a 10.5 Mil (230 gsm) cardstock.